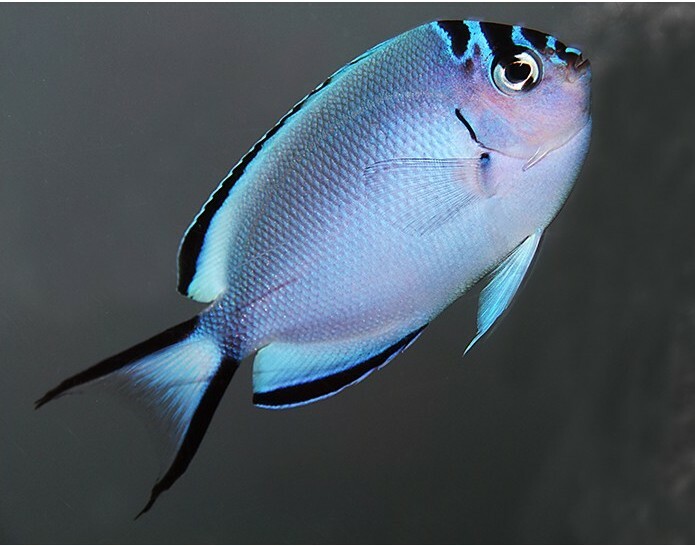 This group of angels (plankton-feeder angels) usually do very well in reef type tank, but because of their size, which can range from 4-8 inches, they need larger sized reef tanks. Most are plankton feeders and eat food out of the water column. Because of this, most will not pick on any corals, clams or invertebrates, but you still need to watch them, because in a closed system, some may start to pick on them. Males and females have different color patterns and you can usually keep a male and female together, or one male with a harem of females. If only one male is present, some will convert back to female colors. You need to be careful, as a lot of the times they come in with some type of disease and need to be quarantined before being placed into the main tank. They should be feed mysis shrimp, plankton, and formula foods.